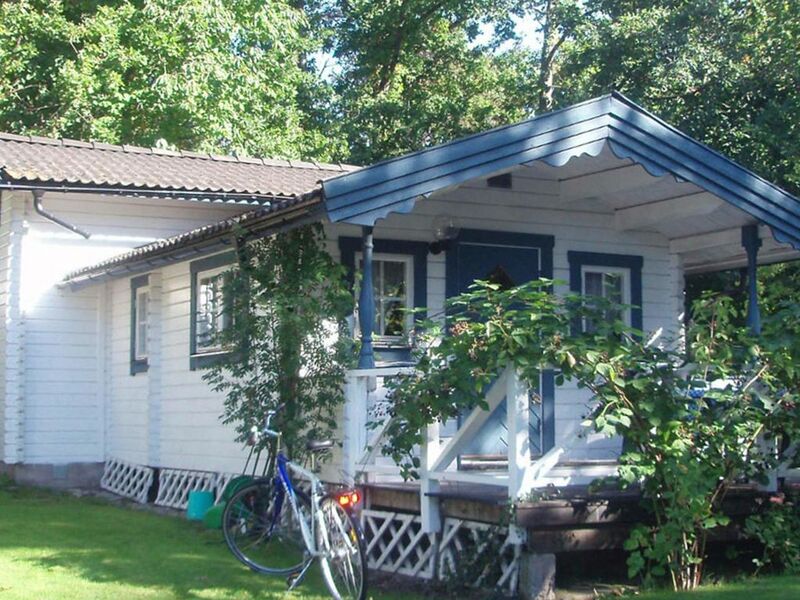 Welcome to this delightfully cosy cottage located close to Västervik and Vimmerby. The cottage rests on the peninsula known as Gränsö, which is about one kilometres long and one kilometre wide and lies around about 3 kilometres east of Västervik. It is just a few minutes' walk from the beach overlooking the sea and stunning archipelago. The cottage has a pleasant and inviting appearance, the living room has a sofa bed suitable for children. The small kitchen is complete with all the amenities you could need on your stay, including a dining area. The bedroom contains two comfortable beds and the cottage has a bathroom with a WC, a shower, and a washbasin. You have your own undisturbed patio where you can enjoy the beautiful days of the summer at their best, as well as a large open terrace in a beautifully landscaped garden shared with the owner. There is a beautiful nature reserve with a scenic bike/hiking trail that takes you passed the castle, the hiking trail is 12 kilometres long and has several wind shelters, rest rooms, and places to warm up along the trail. On Gränsö there are several swimming spots along with both sandy beaches and rock pools. The castle is also a popular tourist spot for families with children. For those interested in a trip to the nearby Vimmerby, the city offers several unique attractions including visiting the wonderful Astrid Lindgren&#8217;s childhood home and the myriad of activities at Astrid Lindgren's World, the perfect place for families! There's also the Virum elk park and plenty of stores and restaurants. Welcome to this perfect getaway in Småland!